Born in Southern Brazil, Mr. Ewerling grew up surrounded by music. His father was a choral singer and an avid music-lover. His first experience with a drum set was at six years old, and after two years of dedicated practice, he made his first television appearance, which gained him a nickname of “The Mini Drummer.” At 12 he participated in making of a record with the most famous children’s choir in Brazil, Os Pquenos Cantores do Colegio Achieta. After several years of playing with dance groups, working in the studio, and touring the club circuits and jazz festivals, Mr. Ewerling began teaching. His desire to hone serious drummers in the art of Samba rhythms led to the development of his Brazilian drum clinics. In 1984 he was invited to join the Chicago-based band Som Brasil and he moved to the US. In addition to playing with the band, Mr. Ewerling expanded his rhythmic horizons with performers in various settings: fusion, jazz, Latin, and the Blues. In 2002 he recorded the album “Our Earth”, a collection of his original music with his group A Cor do Brasil, featuring many of Chicago’s best musicians. Having played the drums for over 50 years, Mr. Ewerling is still teaching, performing, and learning. 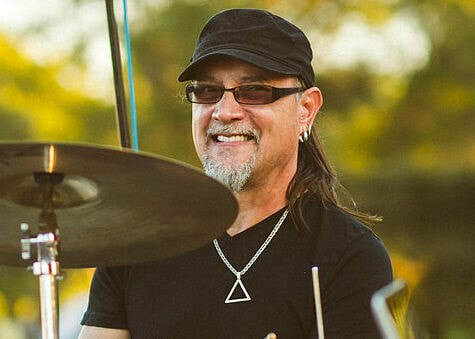 He is proud of teaching the drums for many years in Chicago and Brazil, helping children and adults learn the rhythms of his culture.